Wednesday, 5 December at 18h30 – FOURTH CANDLE – An open Shiur on the last day of classes, at which Rabbi Shaked will explain the significance of the festival. 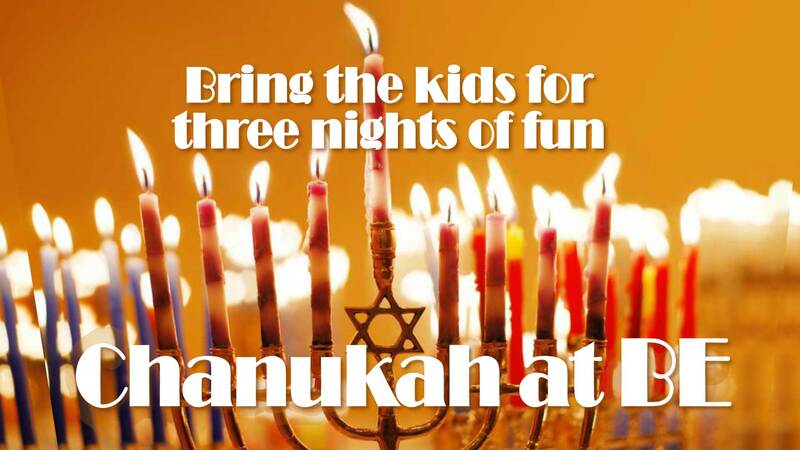 Thursday, 6 December at 18h00 – FIFTH CANDLE – Bring your young children for Candle Lighting, Dreidels, Latkes and Doughnuts. Special guest: Rabbi Greg Alexander from Cape Town. Families from Bet David will also be joining us. Friday, 7 December at 18h00 – SIXTH CANDLE – Bring your Chanukkiah for Candle Lighting at the Kabbalat Shabbat Service at the Shul. Indoor and outdoor activities for younger and older children and of course our fabulous Brocha! Everyone is welcome. (Flyer attached). JKids Club: We’ll be having our final JKids Club Shabbat Service for the year this Friday evening. Please meet in the Courtyard at 18h15 sharp, where we’ll welcome the Sabbath by lighting candles, then use our own JKids Club Siddur (prayer book) to sing and recite the blessings for our interactive Kabbalat Shabbat service. This will be followed by a Kiddush with our legendary kid-friendly unfermented wine, Challah and sweets. See you there! Teens and JKids Dads/Granddads club members also welcome. Love, Jody and Kathryn, your JKids Club team. JKids Club will meet again next Friday evening (the 7th) for our end of year party. After that we’ll be taking a break until after the secular New Year. Youth Zone: Always available as a place to hang out and chill, supervised by Gamemaster Kfir Shaked. Religion School: Please note Religion School is closed for this year. Lessons will resume in 2019 and dates will be advised. Please be patient when calling or visiting the Shul Office, as we don’t currently have a Receptionist. As a result, incoming calls and email messages are being fielded by Christine and Russell (mostly by Christine). We are updating the job description and requirements for the post and hope to fill the post early in 2019.